As the installation ceremony and Gaur Purnima quickly approach, many activities and preparations are in motion. 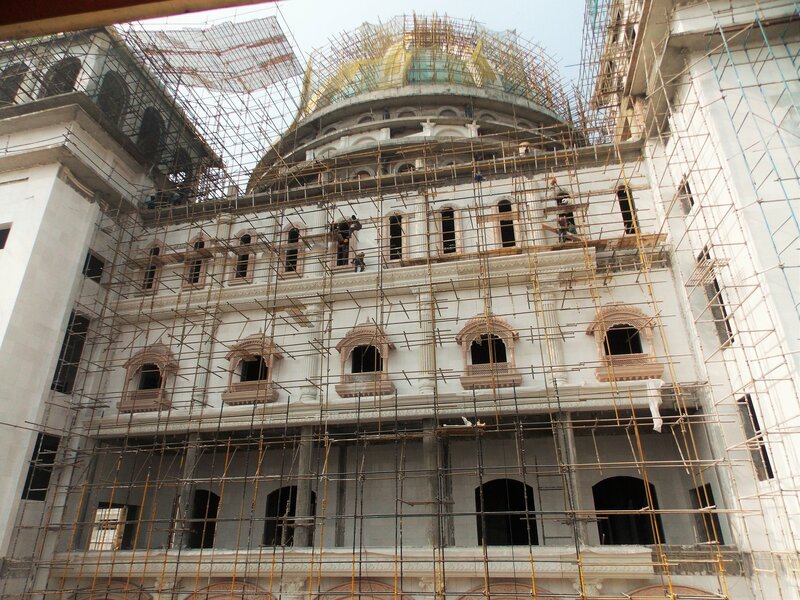 There has been a considerable effort to complete the external walls and staircases on Lord Nrsimhadeva’s wing. 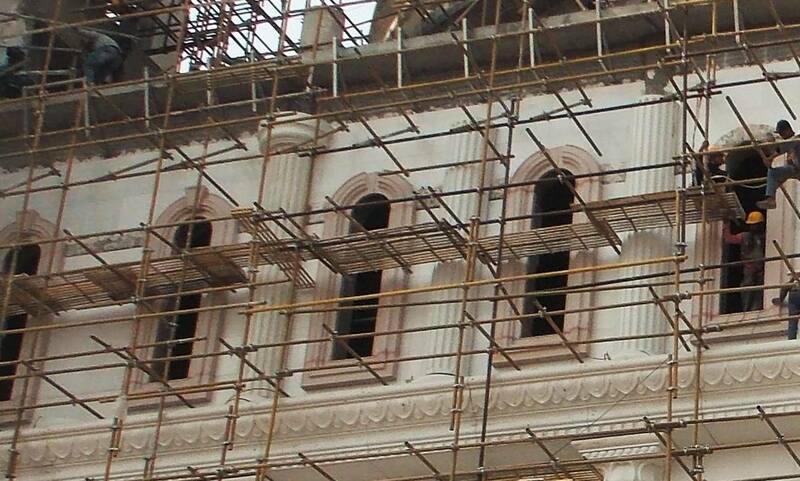 The Rajasthani style windows have been set in place and will be followed by the cornices and pillars. In the photos you will see that the top level is the last to be finished. The pillars are now being put in place as well as the small window cornices. Once completed the same procedure will continue on all the temple walls.